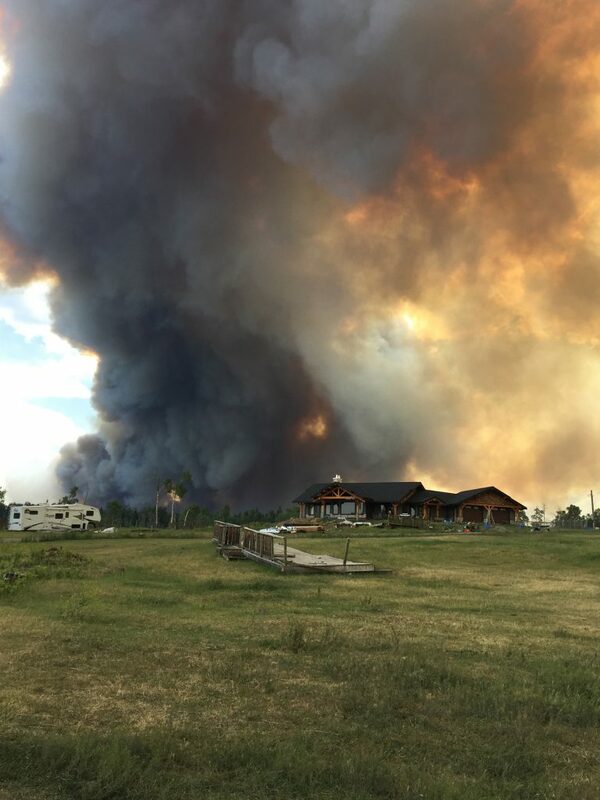 WILLIAMS LAKE – On July 6, Cheryl Monical and her husband Ed noticed smoke over the hill while moving cattle at their ranch near 105 Mile House. Twenty-four hours later, they were fighting a wildfire 200 feet from their doorstep. Like many ranchers this summer, the Monicals chose to stay and fight. They built fire breaks, put out spot fires, installed sprinklers on buildings and tried to keep their cattle off the roads. With the support of neighbours and friends, the family fought the fire for five days before fire crews arrived. Communication in any emergency is key but this year more than 200 wildfires sparked within a few short days. Closing the gaps was more difficult, leaving many ranchers feeling like they’ve been fighting the authorities as much as the fires. Kevin Boon, general manager of the BC Cattlemen’s Association, has been working to help improve co-ordination – taking calls from ranchers in need and relaying information to the Emergency Operations Centres. 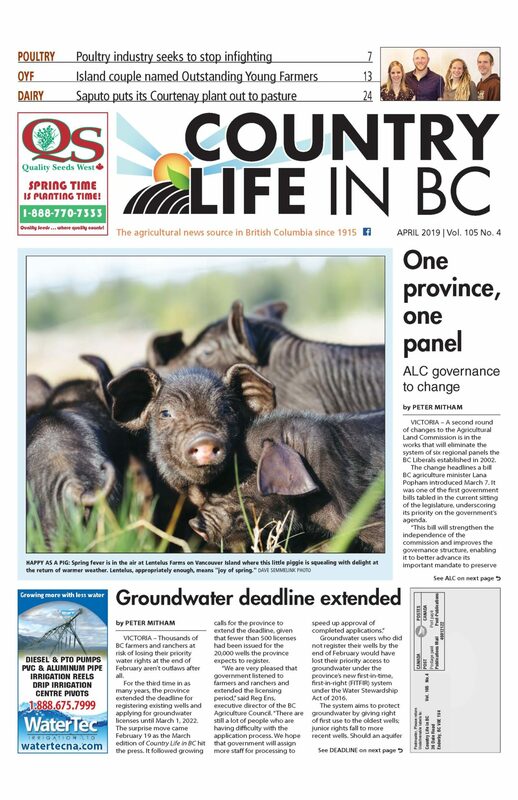 BCCA would like to see more ranchers receive S-100 Basic Fire Suppression and Safety training, which the BC Wildfire Service offers. In the meantime, he’s working with officials to take the pressure off ranchers like the Monicals who have stayed to fight the ongoing fires, some of which remained uncontained at press time. “A lot of ranchers can’t get back in if they leave, so they are in greater danger because they are running out of food and fuel. Instead of starving them out, let’s help them stay to look after things we don’t have resources for right now,” says Boon. His words resonate with Monical. While frustrations run high, so does the appreciation of the tremendous effort that has gone into protecting people, property and livestock during the crisis. Wylie Bystedt farms near Kersley, south of Quesnel, and when winds whipped a lightning strike into an inferno near her ranch in only two hours, fire crews hit hard and fast. Bystedt and her husband retreated to the highway at the fire’s peak but returned that night to fight spot fires and ground fires while ground crews fought further away. Despite the speed and intensity of the fire, they didn’t lose any livestock. With the fire in her area contained, roadblocks are coming down and people are getting on with the work of rebuilding.